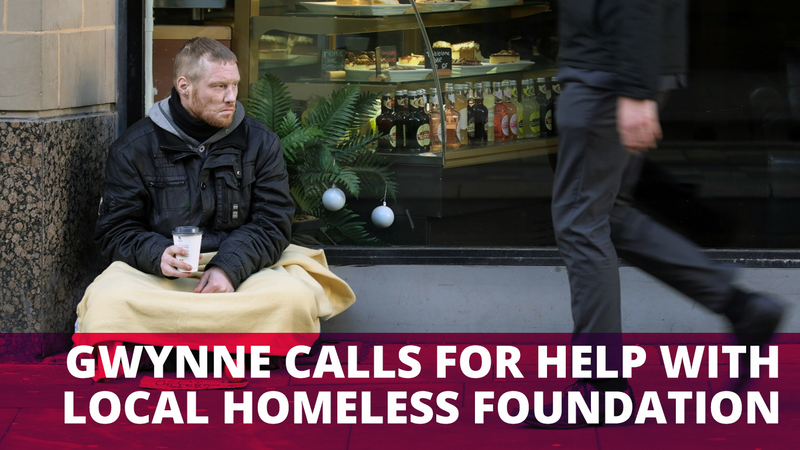 Andrew Gwynne is today calling for help with the Helping Hearts Homeless Foundation, based in Reddish. The foundation is lacking storage space for donations in preparation for the winter period – something which is needed desperately. The group are calling for space in which it can store donations. The space must be somewhere secure, clean, dry and free from damp, where the foundation will be able to store donations and have access to at all times. The foundation’s call for additional storage space comes at a time when homelessness in the region has risen at an increasingly rapid pace, with the city centre seeing 2,000 people sleeping on its streets every night. The Homeless Hearts Homeless Foundation has been operating since 2013. Volunteers have worked tirelessly to distribute donations; supplying food, warm clothing and sleeping bags to the homeless across the city on a daily basis. “The Helping Hearts team are selfless in their dedication to helping the homeless. As food bank usage and homeless levels increase across the country at the rate we are seeing, the commitment levels of generous volunteers like Sareena is both inspiring and vital. We cannot let this effort go to waste. I’m calling for anybody who has suitable space, whether it is in their home or is unused commercial storage, to get in touch with the foundation. “Currently my home is used as a base, it’s full to bursting. At this time of year we take in more donations than any other point – and with the winter months coming we can’t afford to not accept them as we are having to at the minute.